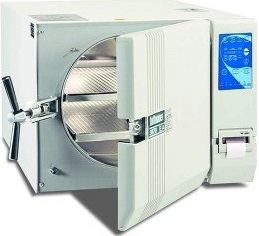 Tuttnauer’s largest automatic table top autoclave. Features a closed door active drying system. Perfect for multi-doctor practices, clinics or surgery centers. 15″x 30″ chamber accommodates longer instruments or a large number of small instruments. Capacity for 15 full size IMS cassettes.